Savico Megamall shopping center is one of the biggest shopping and entertainment destinations in Vietnam, offering families the attractive shopping and entertainment opportunities in a unified space near Hanoi Center. Located in a strategic location only 5km away from Hoan Kiem Lake and a connection point between Hanoi Center and urban areas in the most dynamic economic region in the North, Savico MegaMall has attracted a large number of customers as well as opened up attractive opportunities for retailers' businesses. With a total floor area of up to 56,000 m2, with a luxurious French architecture, Savico Megamall has been a familiar shopping & entertainment destination of more than 20,000 thousand daily visitors and an opportunity for top management. Ideal for retailers and a wide range of leasing areas according to demand with the best incentives and flexible rental policies of Savico Megamall market. With a modern design, spacious space, dumping space accommodating hundreds of cars and thousands of motorbikes completely free of charge, this is a weekend destination for many families, and a place to organize many activities and entertainment music. Savico Megamall brings together hundreds of diverse stores such as fashion, sports, accessories, furniture, electronics, appliances, etc. for customers to come to shop and experience professional services at the shopping center. The booths with various product models, continuously have big discount programs up to 50%, so customers can shop for high quality items at affordable prices. Information and Customer Service counters are located on the first floor of the center where friendly staff are always available to answer questions and provide best support. Many bank teller machines at the 1st floor such as Vietcombank, VIB, etc. Bringing together dozens of food shops with a rich menu such as Buk Buk, Pizza Hut, Sumo BBQ, etc., and an airy space with a capacity of up to 600 people, Mega Food at the 3rd floor has become a favorite place for many customers. 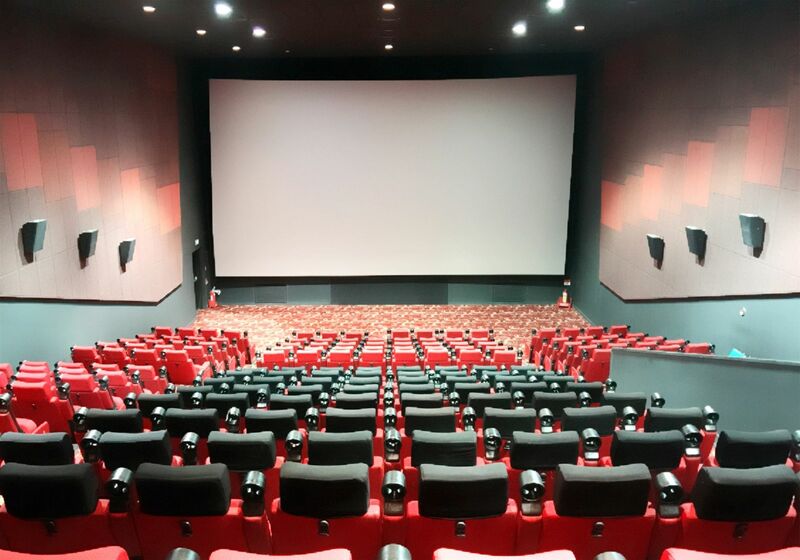 Opened from April 2018, Lotte Cinema has become a gathering place for many young people and families to experience blockbusters at modern theaters with high sound and image quality. Lotte Cinema has 'Korean' cinema, beautiful and 'luxurious' with 6 movie studios, more than 700 seats of international standards, high slope, good width and smoothness like a home, spoiled for watching movies. The big screen is very watchful, sharp, Dolby sound is standardized to the sound of falling leaves, a movie is called a sunk to fall in love with film frames. A series of diverse weekend events have attracted the attention of many customers visiting and shopping for many years. Savico Megamall is a venue sponsor for many television shows such as The Voice, The Voice Kid, Solo and Bolero, etc. to the programs for children and families. Camera system and security team operates 24/24 throughout the building to ensure safety for customers who come to shop. Elevators & escalators are arranged throughout the building, convenient to move between floors of the center. Address: No. 7 & 9 Nguyen Van Linh, Long Bien, Hanoi.